Scoring higher than 24/30 points­­ requires TOEFL writing practice. Scoring 24/30 also involves the regular completion of independent and integrated writing practice tests. Finally, getting this sought-after writing score will require qualified writing feedback from a TOEFL writing practice mentor. Write one word onto a 4 x 6 inch notecard with the word in large, dark letters on one side. Put the definition, sample sentence, parts of speech, and synonyms and antonyms on the other side. Repeat this step 1,700 times! Be patient, for this will take you a few weeks to complete this part of your study plan. Do NOT skip this step or substitute this step in favor of buying online flash cards. Creating your own flash cards is part of your daily study and will help you to learn the words. You are much more likely to learn the words if you create your own flash card system. Begin studying your note-cards daily dividing the cards into stacks of 50. Bring your note-cards with you so you can study them when you are waiting in line or whenever you have free time. Separate the note-cards into two stacks: words that you are easily learning and words that are more difficult for you to memorize. Over a period of a few weeks you will become more and more familiar with these words. Eventually, you will learn to recognize them in reading and listening passages. At some point, the words will become so familiar that you will start using them in your speaking and writing. In addition to vocabulary, you need language-use practice with grammar. Familiarize yourself with the simple, compound, and complex sentences in English grammar. The compound sentence is useful during the integrated writing task as you explain the main ideas of the reading and listening passages. For example, if you read a passage about three theories regarding adult language acquisition and if you listened to a passage that cast doubt on the theories explained in the reading passage, you could use a compound sentence. Sample introduction: The reading passage explains three theories about adult language acquisition, and, in the listening passage, the speaker explains some drawbacks about each theory. Or, during the independent writing task, you could use a complex sentence as your thesis to frame the important points of your body paragraphs. Example writing prompt: Some want to work for one company all of one’s life. On the other hand, others prefer to change jobs frequently. Which position do you support and why? Sample thesis using a complex sentence: After I complete college, I prefer changing jobs often because I can get more experience, because I will have more opportunities for advancement, and because I can have a better quality of life for my family and me. Finally, in addition to practicing compound and complex sentences, you need to practice using simple sentences. Consisting of one subject and one verb, simple sentences are used to emphasize important ideas. In these cases, you do not want to communicate these crucial points with other ideas within the same sentence. Observe how the writer uses simple, complex, and compound sentences. In addition, changing jobs will give me more promotional opportunities. For example, my cousin graduated from the Brigham Young University School of Business several years ago. Since that time, he has worked as an accountant for three different companies. With the first company, my cousin was hired as a junior accountant with limited responsibilities, and he worked there for about a year. Next, he found a job with another company because he was offered a partner level accounting position. As an employee with this company, the management agreed to pay him $120,000 annually, which was 30% more money that what he was getting at this first job. My cousin worked with this firm for two years. Finally, my cousin changed jobs and moved to Kansas, where he works now as assistant Chief Financial Officer. His current job is paying him $250,000 annually. My cousin’s example shows that changing jobs frequently allowed him to have more promotional chances and higher salaries. You also need language-use practice with listening. During the integrated writing task, for instance, the TOEFL asks you to explain how the most important points in the listening passage are related to the most important points in the reading passage. Unfortunately, if you omit one of the key points in the listening passage, you will not be able to score higher than 24/30 points. Therefore, it is important for you to improve your listening comprehension abilities. Find academic lectures that are 5 mins long or more. Listen to the passage and take notes on the most important main ideas and details. As you take notes, try to use your own vocabulary and grammar. This will help you to avoid copying word for word from the passage. Use your notes to write 150 word summaries of the lectures. Compare your written summary to the lecture. If possible, listen to lectures that also have written scripts of the lecture. Compare your summary to the listening script. Make sure that your summary is complete and accurate. Lastly, make sure that your summary has not mispresented any information. Take notes on the main and most important support points of the listening passage. You should use your own words and grammar as you jot down key information from the text. Use your notes to write 150 word summaries. Make sure your summary doesn’t leave out the main idea and important details. In addition, your summary should not focus much on the minor details. Finally, make sure your summary is accurate and has not misrepresented any information from the passage. You can watch all the instructional writing videos you want. 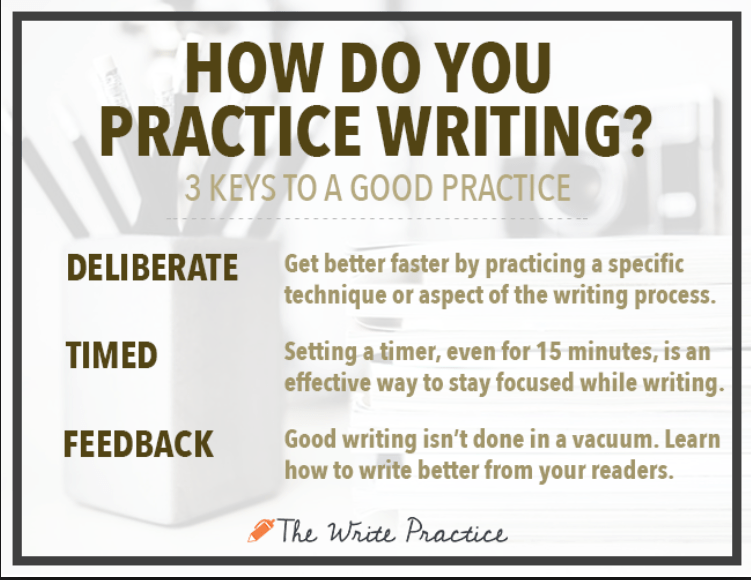 However, you will also need to complete writing practice tests within the 30 minute and 20 minute constraints for the independent and integrated writing tasks. Indeed as you complete these practice tests, you should set some goals. Write a 100 word introduction along with a 3-point thesis. Use an arguable topic sentence in each body paragraph that repeats of rephrases one of the key points in your thesis. Limit each body paragraph to 100 words. After each topic sentence, introduce an example to support your argument. Spend about 80 words explaining that example. Make sure that you use transition words to show how your ideas are connected. Conclude your essay with a 25-50 word conclusion that summarizes the main points of your body paragraphs. Do not introduce new points! Do not copy word for word what you already wrote in the introduction or body paragraphs. Write a 25-50 word introduction to explain the main idea of the reading and the listening passage. You should use approximately 16 voice markers to acknowledge the author from the reading passage and the speaker from the lecture. Use a variety of simple present tense reporting verbs to explain the information in the two texts. Learn 15 to 20 reporting verbs that you can use to summarize the two texts. To illustrate the importance of completing writing practice tests, Rava began my Online TOEFL Course with a TOEFL writing score of 21/30 points. Over a period of two months, he completed 15 independent and 21 integrated writing practice tests. After each practice test, I read, evaluated, and scored his essay according to the official ETS writing rubrics. In addition, I recommended specific lessons in my course based on his weak points. Rava reviewed the recommended lessons and continued to get feedback to monitor his progress. Finally, he registered to take the TOEFL iBT exam again, this time scoring 29/30 points on the writing section. Furthermore, his overall TOEFL score was 105/120 points. I have an MA in English Composition/TESL from California State University, San Benardino (CSUSB). I am an English Composition professor at CSUSB, where I have been teaching lower and upper division writing courses since 1997. I have been teaching TOEFL preparation courses at CSUSB in the English Language Program since 1994. I have an Online TOEFL Course “The 7-Step System to Pass the TOEFL iBT,” at which I also teach TOEFL preparation to students from more than 60 countries. My background shows that I have the education plus the experience to help you address your writing weaknesses so you can score higher on the writing section. Make sure that the TOEFL writing mentor that you choose has the experience and the education to help you reach your writing goals. If you are ready to finish the TOEFL and if you want to move on with your life, join my TOEFL Writing Boot Camp course, which will help you to reach your writing goals.